SEC BATTERY INSTALLS FIRST SOLAR GRID TIE SYSTEM IN INDONESIA. In Nusa Dua, Bali last week SEC marked a significant milestone in Indonesian history. In partnership with PT. Solar Power Indonesia, one of our platinum market partners in the territory, the first domestic net metering grid tie agreement with Indonesia’s PLN was completed. The installation of the net metering system included SEC solar panels, an inverter and SEC batteries. Which allow this customer, among other benefits, to literally harvest the sun during the day in order to become their own power source at night. While ‘going off grid’ entirely is the ultimate goal of global environmentalists, the potential of grid tied or hybrid grid tied solar systems are a new arrival for Indonesia. As such, we’re thrilled that our partners have become the first company in the Indonesian Archipelago to supply and install the net metering system with SEC products. The agreement unlocks exciting possibilities for both Indonesia and its residents. The integration of solar and grid energy allows consumers to maximise value by drawing down from the sun for their power needs during daylight hours, and feeding back or exporting the excess power to the grid. Their exported energy will then receive a 50% credit applied to the electricity bill. There is no payment from PLN to consumer, instead the power the consumer exports sits as an ongoing credit on their account. Grid tied systems are very common in other parts of the world, but this ‘milestone’ contract has special meaning to SEC Indonesia. As one of the many countries in Asia with an unstable grid network, Indonesia has been crying out for alternate energy solutions for some time. 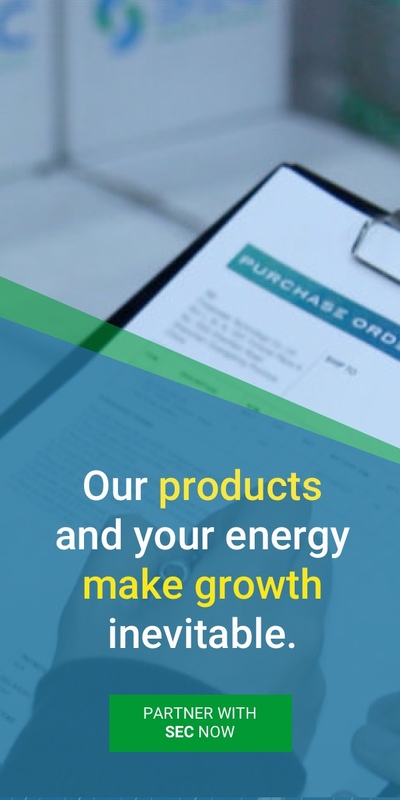 More and more businesses, factories and residential owners will be able to use grid tied and hybrid grid tied power systems to provide an uninterrupted power supply, and to transform the once passive store of grid energy into an on-demand capacitor. The power system was installed with the net meter some 5 months ago for evaluation. It passed the test and from now onward, SEC and SPI customers will be able to utilise energy when it’s most valuable for them to do so. The new system enables value exchange benefits and will help to smooth the country’s unstable network, which is especially an issue at peak times. By honouring SEC’s market partner, PT. Solar Power Indonesia, with the opportunity to install the first system, PLN are taking a huge step towards Indonesia’s ASEAN pledge to install 5GWs of renewable energy sources into the region by 2019. While it’s true that much of that goal will be fulfilled by major solar generation parks, the agreement will allow residents to follow suit. Both reducing their costs and increasing their energy security. The electricity system of the future is no doubt one based around PV solar panels and high powered industrial batteries. Energy storage is key to not only the fluent and successful utilisation of renewables, but to its effective commercialisation. We’re more than thrilled to announce that SEC batteries have had a part in changing Indonesian history. We welcome all enquiries from partners and businesses who are interested in applying for the installation of a grid tie energy solution.